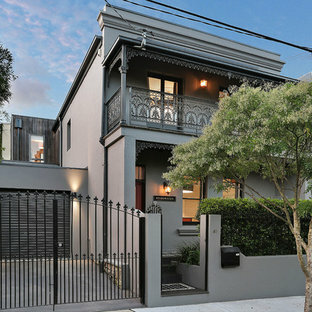 Photo of a large transitional two-storey stucco grey exterior in Sydney with a flat roof. This is an example of a transitional two-storey white exterior in Melbourne with wood siding. Design ideas for a contemporary exterior in San Francisco with three or more storeys. Photo of a traditional two-storey brick red exterior in Essex. Photo of a traditional exterior in Other. 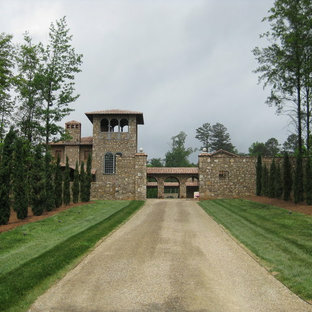 This is an example of a mediterranean exterior in Atlanta with stone veneer. This is an example of a midcentury one-storey exterior in Austin with a gable roof. 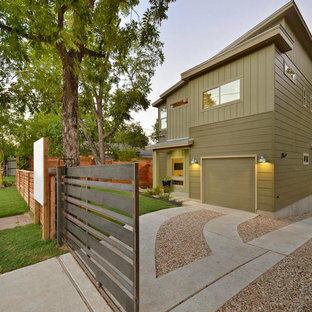 Design ideas for a contemporary two-storey green exterior in Austin. Design ideas for an expansive traditional two-storey white exterior in New York with vinyl siding. This is an example of a large contemporary two-storey stucco white exterior in Perth with a hip roof. This is an example of a large contemporary beige exterior in Perth with three or more storeys and a hip roof. Photo of a traditional brick red exterior in Surrey with three or more storeys. 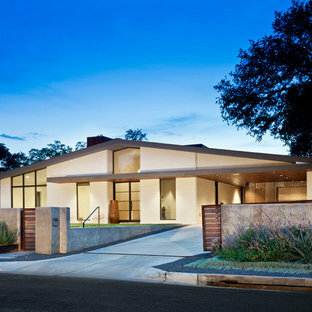 Inspiration for a mid-sized contemporary two-storey stucco beige exterior in Los Angeles. Inspiration for a mid-sized modern two-storey stucco grey exterior in Los Angeles with a flat roof. Photo of a traditional two-storey beige exterior in Dallas with stone veneer and a hip roof. 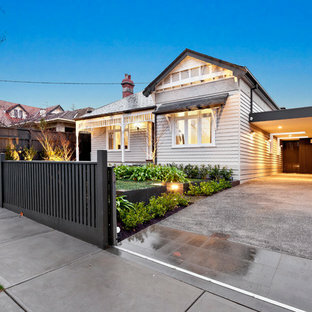 Design ideas for a contemporary two-storey exterior in Melbourne with mixed siding and a flat roof. Design ideas for a midcentury one-storey grey exterior in Los Angeles. Timber sliding gate made from solid cedar using 'random' width board effect to match in with garage door and cladding on house. 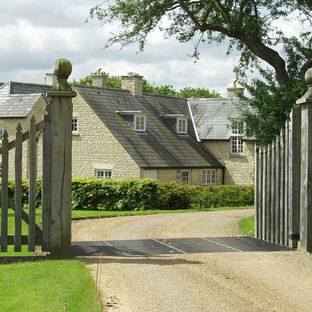 This gate was automated using a Nice Robus 600 sliding gate motor.